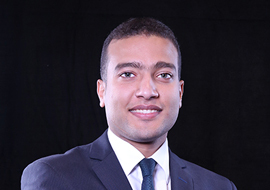 Youssof Omar graduated from Faculty of Law, Cairo University in 2015 and obtained his Masters in 2018. Youssof Omar concentrates his practice on litigation, he has more than three years of experience. Youssof Omar is admitted before First Instance Courts. Apart from litigation, Youssof Omar has practiced many arbitration cases, including reviewing contracts, doing legal research and drafting memos.